Posted in: Bees and Wasp, Insects. Tagged: Bee, Bumble bee, clover, flowers, Nature, outdoors, Photography, Wildlife. If you scroll down a few post, you will see my photo of a honey bee eating from a clover. 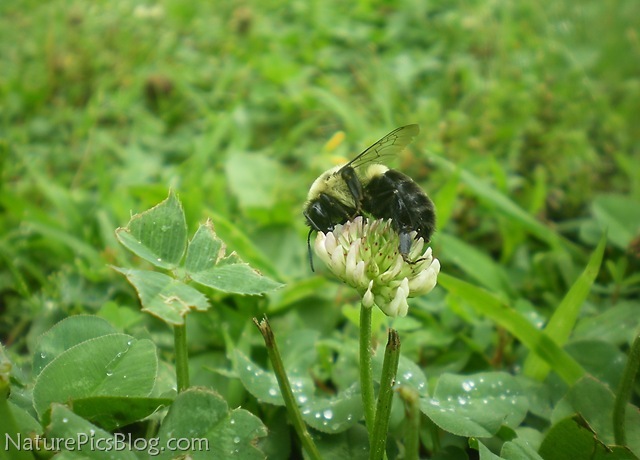 This post features a similar photo of a bumble bee stopping to eat a portion of his breakfast at this clover. 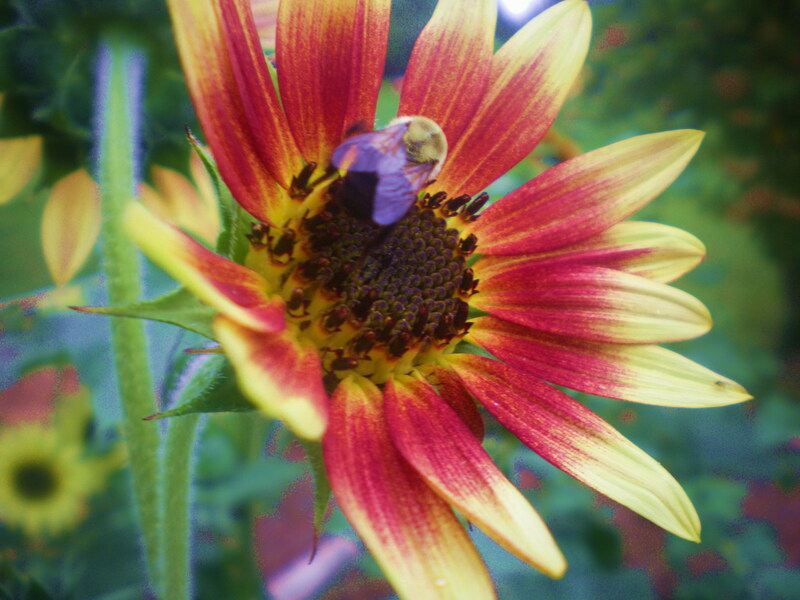 The morning dew, which was still on the grass when I shot this photo, added color and beauty to my bee portrait. Posted in: Bees and Wasp, Flowers, Insects, Plants. Tagged: Bee, bugs, bumble, Bumble bee, eating, Flower, insects, Nature, Photography, shot. Bees are hard to photograph because the move from flower to flower so quickly. I managed to capture this large bumble bee as he was eating from one of the our blueberry bush’s spring flowers.